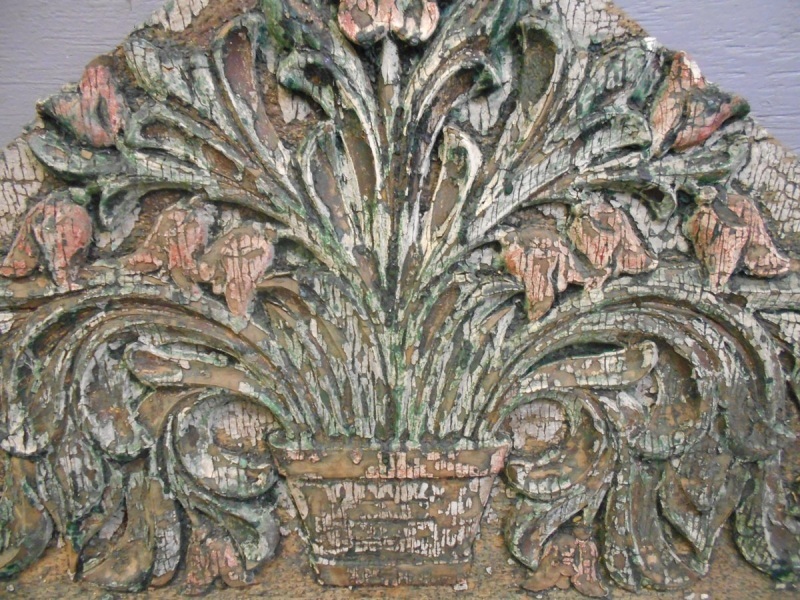 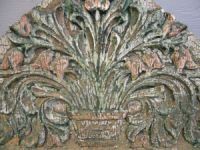 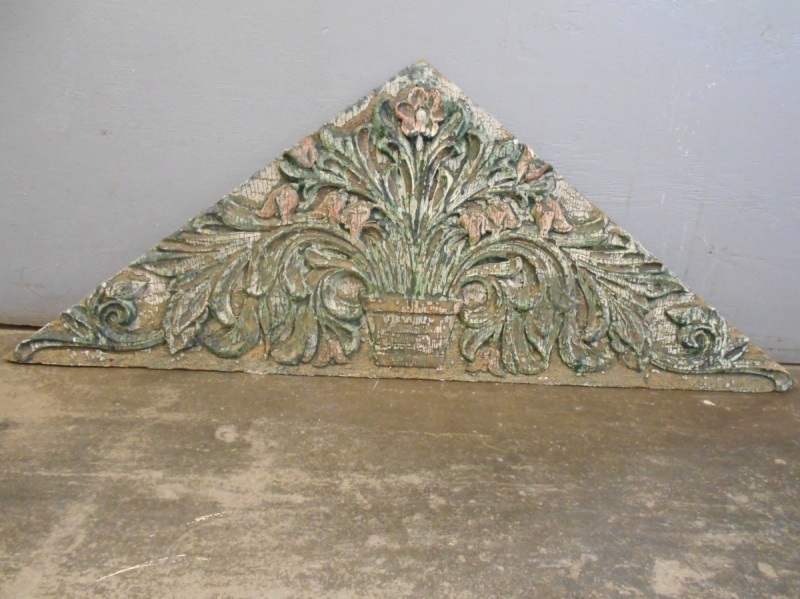 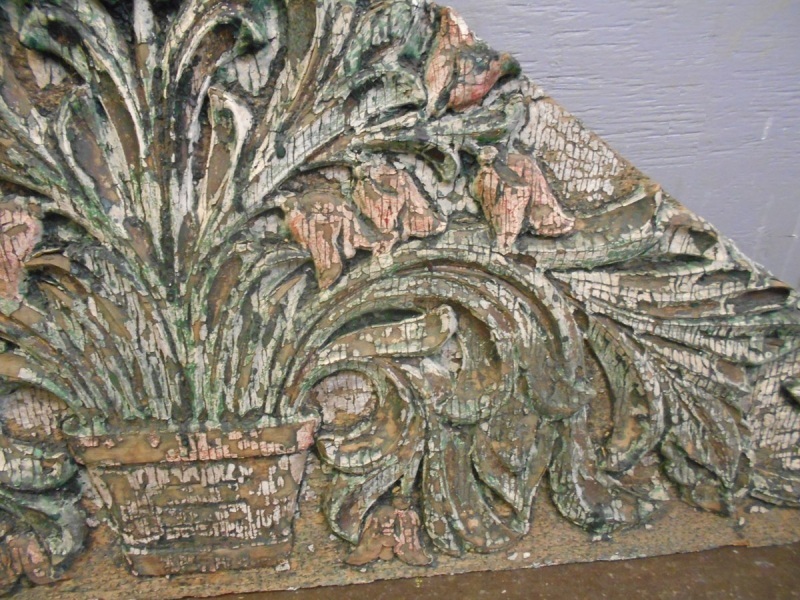 Wonderful carved wood architectural element, possibly a verge board featuring a large central potted plant spilling forth a profusion of stems and flowers. 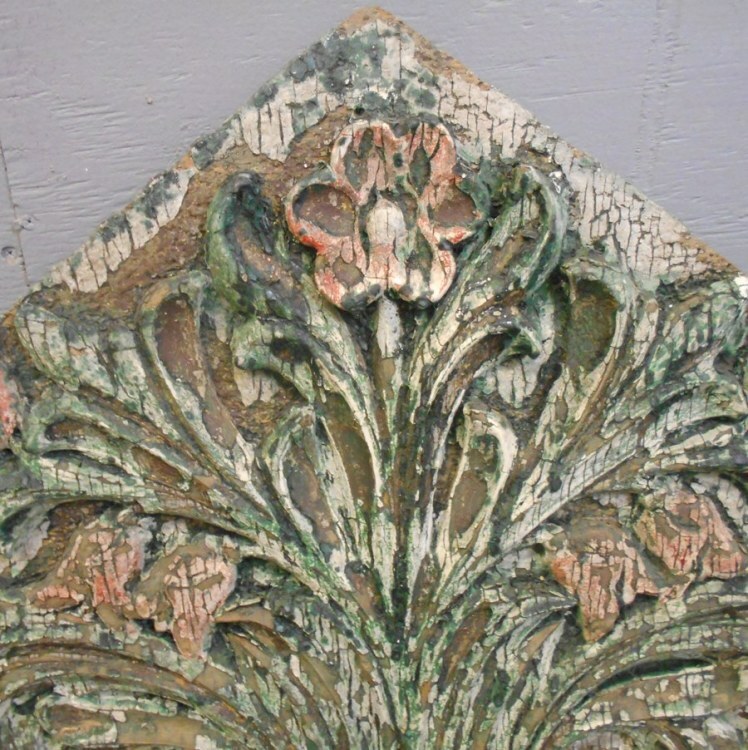 The original painted surface has weathered beautifully! 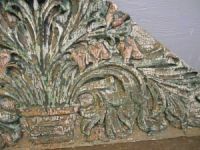 Now with a wire attached to the back and ready for hanging. 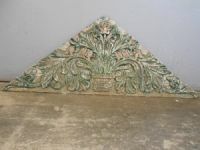 Measurements: Width: 63” Height: 24"